Long-term monitoring studies are needed to understand changes in ecosystem status when restoration measures are implemented. A long-term data series (1996–2007) of the Tagus estuary (Portugal) intertidal and subtidal benthic communities was collected in a degraded area where mitigation measures were implemented. Multivariate analysis was used to analyze spatial and temporal patterns in benthic community composition and trends in five benthic community metrics (i.e., taxonomic richness, density, biomass, Shannon–Wiener diversity and the AMBI index) were also examined. The results revealed a clear separation between intertidal and subtidal assemblages, although they had 50% of taxa in common, including the most abundant. Significant positive trends were found for all metrics showing that both intertidal and subtidal communities responded to the restoration measures implemented. Nevertheless, biotic indices need some adaptation before being universally applied to intertidal and subtidal habitats. This study was supported by the institutions Parque EXPO, S. A. and Lisbon Municipality. This study was also supported by a Post Doc fellowship (SFRH/BPD/29579/2006) granted by FCT. We would like to thank our colleagues V. Amaral, M.J. Correia, M. Cunha, F. Jorge, J.P. Medeiros, M. Pardal, C. Pereira, C. Pestana, A.L. Rego, S. Rodrigues, J. Salgado, and C. Teixeira for assistance in different tasks. Ferreira, J.G., T. Simas, A. Nobre, M.C. Silva, K. Shifferegger, and J. Lencart-Silva. 2003. Identification of sensitive areas and vulnerable zones in transitional and coastal Portuguese systems. 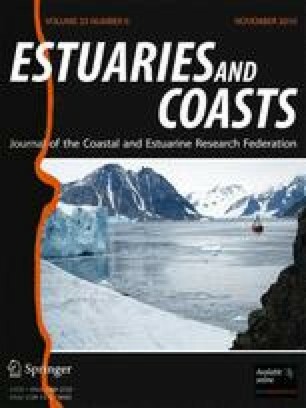 Application of the United States National Estuarine Eutrophication Assessment to the Minho, Lima, Douro, Ria de Aveiro, Mondego, Tagus, Sado, Mira, Ria Formosa and Guadiana systems. INAG and IMAR. http://www.eutro.org/documents/NEEA%20Portugal.pdf.